Special counsel Robert Mueller is recommending no prison time for retired Lt. Gen. Michael Flynn, citing the former national security adviser’s “substantial assistance” in his ongoing investigation into Russian interference in the 2016 presidential election. Flynn, whose sentencing is scheduled for Dec. 18, pleaded guilty in December 2017 to lying to the FBI about his conversations with then-Russian Ambassador Sergey Kislyak during the presidential transition period from Election Day 2016 to Trump's inauguration in January 2017. As part of his plea agreement, Flynn agreed to cooperate with the Mueller investigation. Under federal guidelines, the retired Army lieutenant general’s crime carries a penalty of up to six months in prison. But court observers say if Flynn satisfactorily cooperated with the special counsel, he could avoid prison time. Upon learning of Mueller’s sentencing suggestion, a source close to Flynn said his family is relieved and happy tonight that the special counsel is recommending no prison time for him. “Jail time wouldn’t be a good thing for him,” the source told ABC News. Mueller has wasted no time bringing into court other cooperating witnesses, such as George Papadopoulos, a former campaign adviser, and Paul Manafort, once Trump’s campaign chairman, to face penalties for lying to his investigators or not fully cooperating. Papadopoulos is currently serving a 14-day sentence after a judge denied his 11th-hour appeal to delay a prison sentence. Manafort faces sentencing in two separate cases early next year after his plea agreement deteriorated last month. Mueller's assessment of the value of the cooperation by Flynn – who had at times testified in Congress as Defense Intelligence Agency director alongside Mueller when Mueller led the FBI – is likely to influence U.S. District Court Judge Emmet Sullivan’s handling of the sentence. One knowledgeable source said the bulk of Flynn's cooperation with the special counsel occurred immediately following his December court appearance. 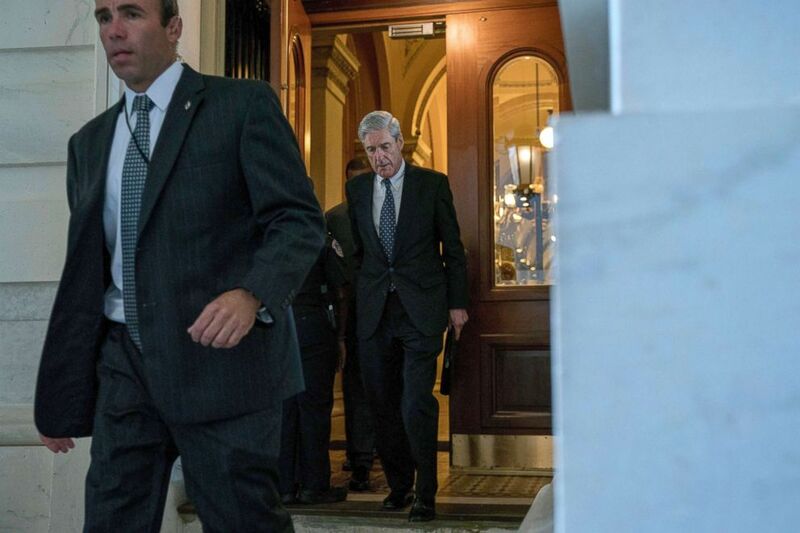 “His early cooperation was particularly valuable because he was one of the few people with long-term and firsthand insight regarding events and issues under investigation by the [special counsel’s office],” Mueller wrote Tuesday. 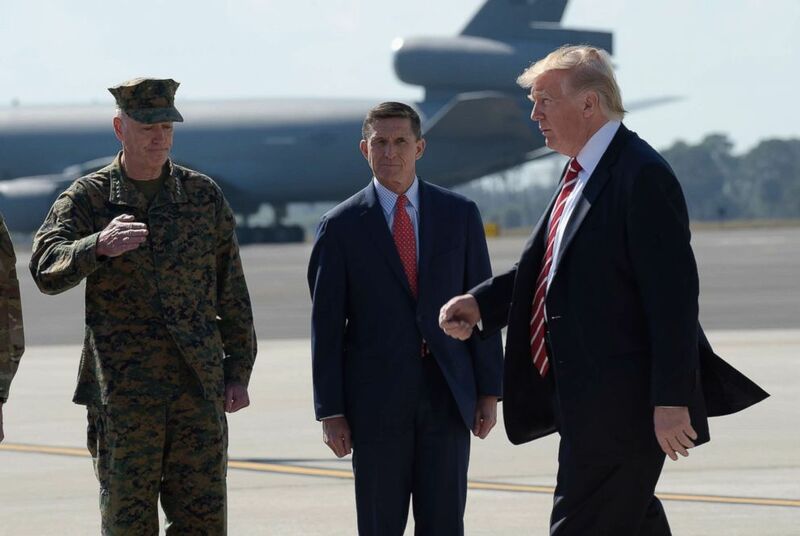 A distinguished military officer with decades of government experience, Flynn – who’s now retired – forged a close bond with President Trump during the 2016 campaign as an adviser and surrogate. Except for a handful of public appearances and speeches, the former DIA director has kept a low profile over the past year. A source close to Flynn said that after one campaign appearance for a Republican in California, the retired intelligence officer was advised not to make any further political appearances before the midterms and his scheduled sentencing this month. President Donald Trump passed Joint Chiefs Chairman Gen. Joseph Dunford, left, and National Security Adviser Michael Flynn as he arrives via Air Force One at MacDill Air Force Base in Tampa, Florida, Feb. 6, 2017. Friends and relatives have said Flynn, who at 2016 campaign rallies led chants of "Lock her up!" about Democratic nominee Hillary Clinton, is eager to face the judge and accept his fate following his dramatic guilty plea almost exactly one year ago. Flynn’s downfall has caused him deep pain, friends and family said, after a three-decade career and launching a private consulting firm in retirement, the Flynn Intel Group, where he grew closer with his son Michael Jr. after years of war deployments overseas. Trump said last year that Flynn was a “fine man,” but he had to dismiss his national security adviser 21 days into the new administration because he had misled Vice President Mike Pence about his contacts with Russia’s ambassador in Washington during the transition. “I had to fire General Flynn because he lied to the Vice President and the FBI. He has pled guilty to those lies. It is a shame because his actions during the transition were lawful,” Trump tweeted after Flynn pleaded guilty a year ago. The special counsel has until Friday to submit similar sentencing memos for Manafort and Michael Cohen, who spent a decade as the real estate tycoon's personal lawyer.